SAN FRANCISCO (March 15, 2018) – The San Francisco Arts Education Project, celebrating its 50th anniversary in the 2018-19 school year, today received the prestigioius Dreamcatcher Award from the San Francisco Unified School District’s Department of Visual and Performing Arts. Inspired by individually crafted Native American dreamcatchers, highly endowed and talismanic works of art believed to have the power to capture dreams and prevent negativity, the Visual and Performing Arts Department of the San Francisco Unified School District proudly presents Dreamcatcher Awards as part of the SFUSD Arts Festival to honor individuals who have inspired the San Francisco educational community through the excellent work they have done to promote the vision and the promise of the SFUSD Arts Education Master Plan. Dreamcatcher recipients come from various parts of the community, including arts teachers, school arts coordinators, principals, administrators and community arts partners. The Visual and Performing Arts Department is proud to recognize these arts education leaders with the annual Dreamcatcher Awards, which made their debut in 2007, along with the Master Plan, and have provided our community with a way to recognize and celebrate the excellent work provided by these exemplary and inspiring arts leaders. 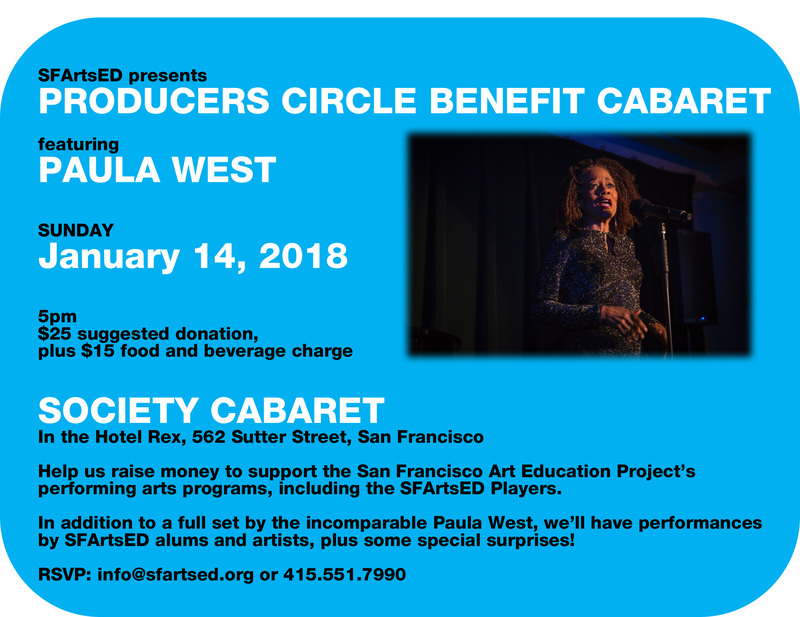 Founded in 1968 (as the Alvarado School Arts Workshop) by renowned artist Ruth Asawa, SFArtsED has transformed the lives of children, their families, teachers, artists and volunteers. Programs include SFArtsED Summer, In-School Artist Residencies, After-School programs, The SFArtsED Players Musical Theater Company, Interdisciplinary Arts Program and apprenticeships for college and high school students. SFArtsED moved into its new space at Minnesota Street Project in March 2016, marking the first time in the organization’s 50-year history that it has a space of its own for instruction, exhibition, seminars, workshops and gatherings of all kinds.